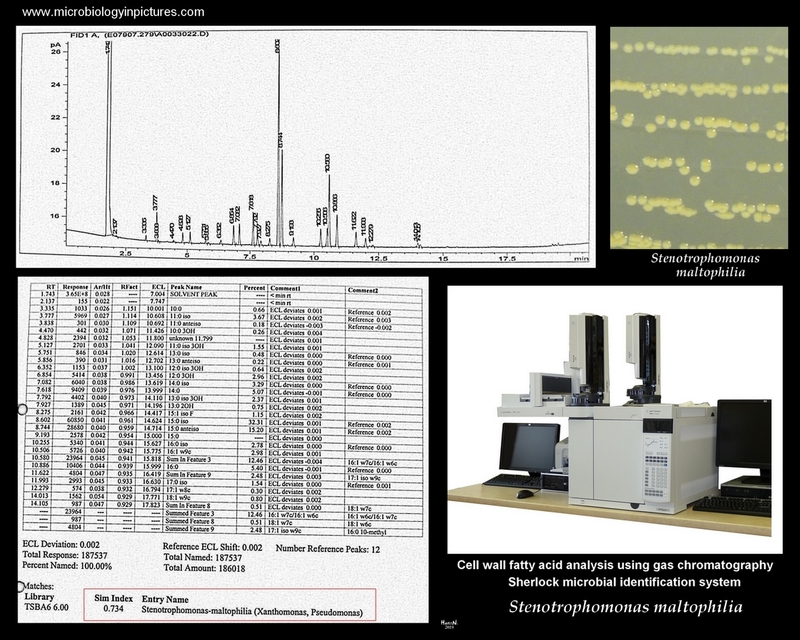 Bacteria Stenotrophomonas maltophilia identification with the Sherlock system. Identification of bacteria by fatty acids profiles. Another approach to the identification of an unknown bacterial isolate (e.g., Stenotrophomonas maltophilia) is cell wall fatty acid analysis using gas chromatography. The Sherlock Microbial Identification System identifies fatty acid methyl esters (FAMEs) by gas chromatography. The resulting FAME profile can be used to identify the fatty acids in the sample, or the resulting profile can be compared to one of Sherlock's microbial libraries.